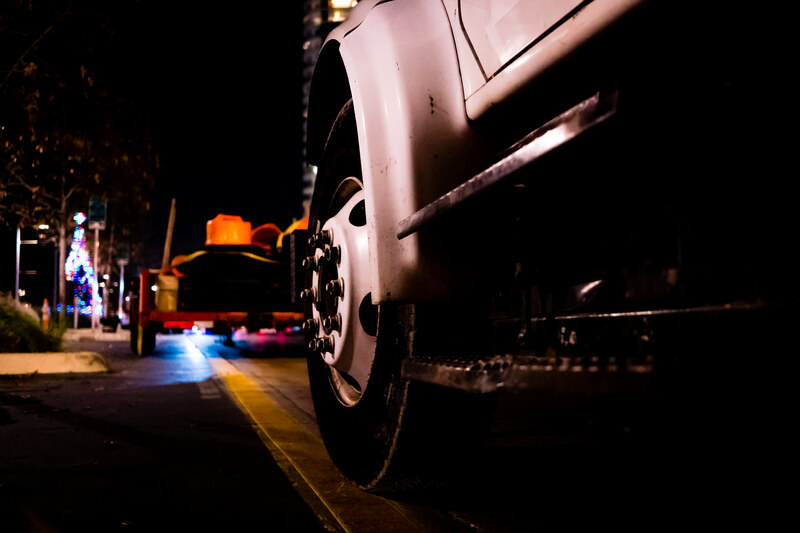 A construction truck idles in the street adjacent to Dallas’ Klyde Warren Park. 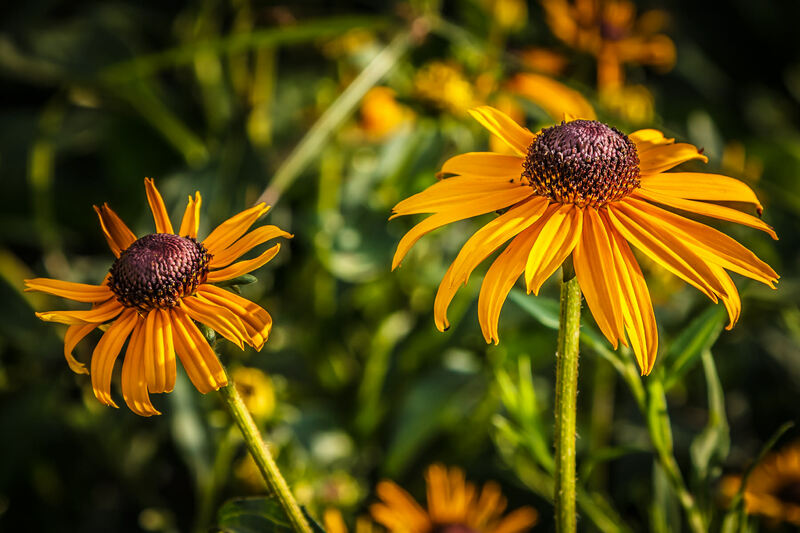 Two yellow daisies, also known as black-eyed susans, found at Dallas’ Klyde Warren Park. 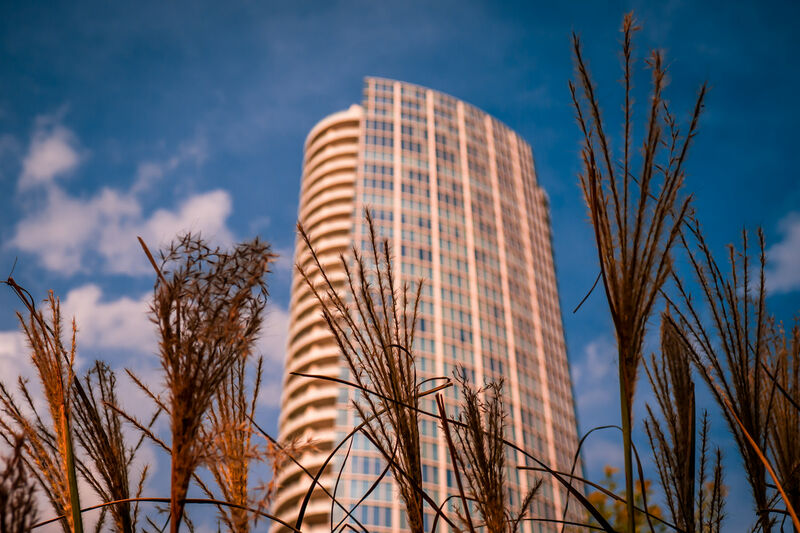 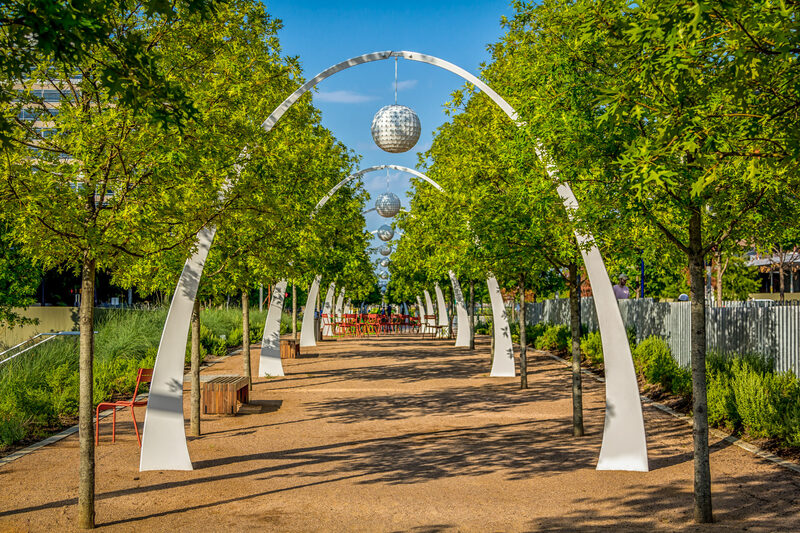 A series of arches in Dallas’ Klyde Warren Park. 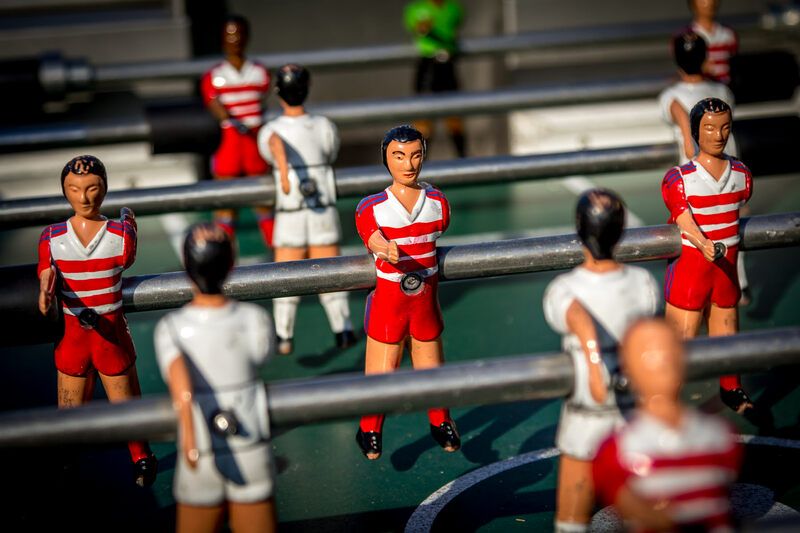 Detail of some of the “players” on a table football (soccer) game (or “foosball“) set at Dallas’ Klyde Warren Park.